We look forward to spending time together with you in God’s Word. 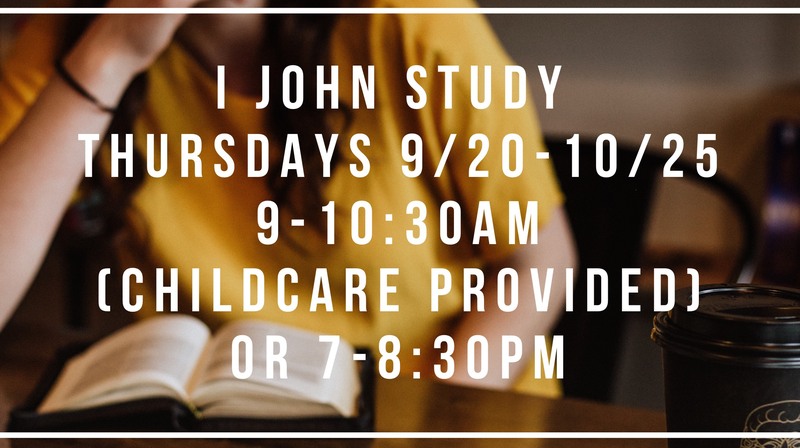 The Thursday morning study group (9:00am-10:30am childcare provided) will be lead by Deb Blackman and the Thursday evening study group (7:00pm-8:30pm no childcare) will be led by Dianne De Cleene. Sign up online now through September 16th or in the coffee cove September 9th & 16th.